Extreme jealousy is a dangerous emotion that if left unchecked has the potential to destroy your relationship. It stems from feelings of insecurity which often results in the development of an over-controlling personality in people. While a little jealousy can help spice up our love life, sometimes these feelings become so intense that we cannot shake away the negative thoughts that appear in our head. The only way we can feel ‘secure’ and not jealous is by trying to control every single aspect of our partner’s life. But while this may temporarily ease our feelings of jealousy, it is by no means a permanent solution. After all, how can our relationship flourish if we don’t allow it the space to grow and to ‘breathe’? To those of us who suffer from feelings of intense jealousy, giving space to our partners may seem like a difficult thing to do! Do you often find yourself feeling upset when your partner shares parts of his/her life with other people? Are you constantly afraid that your partner will leave you for someone else? Do you feel extremely uncomfortable when your partner talks to an attractive friend? Have you often wished to be able to rid yourself of all the jealousy to become the confident, charming person that you really are? The key to getting rid of the negative feelings of jealousy lies in the ability of our minds to disassociate our wild imagination from what’s really happening in reality. 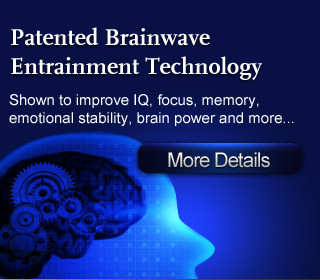 Thankfully, with today’s advanced Brainwave technology, we can now train our minds to virtually ignore all the unnecessary negative associations of our imagination that causes our feelings jealousy. You can now become the relaxed, charming person that you really are, and impress your partner with your newfound confidence! No reviews on C15 Overcome Jealousy Today so far.